Valletta 2018’s opera season continues, this time with a contemporary opera production of Corto Maltese: The Ballad of the Salty Sea. Two performances will be held at Teatru Manoel on the 20th and 22nd September. The production, which is commissioned and co-produced by the Valletta 2018 Foundation and Teatru Manoel, is an adaptation of Hugo Pratt’s popular graphic novel series, Corto Maltese: Una Ballata del Mare Salato, published in 1967. The opera is composed by Monique Krüs with a libretto by Corina Van Eijk, based on an original script by Tama Matheson. The narrative follows one of the adventures of Corto Maltese. As the world is edging inexorably towards war, Rasputin, a notorious pirate, is busy plying his trade in the Pacific Ocean when he stumbles upon a man adrift at sea. His hands and legs are tied to a raft. His name is destined to become legendary. This man is Corto Maltese. What did he do to deserve such a cruel punishment? What is hidden behind his enigmatic gaze? Even Pandora and Cain – two teenagers from a wealthy family who have been captured by Rasputin – question his presence. Little do they know that this chance meeting will change their lives, along with those of millions of readers, forever. Corto Maltese was born in Valletta’s infamous Strait Street on July 10th, 1887, to a British sailor from Cornwall and an Andalusian-Romani gypsy. As a boy growing up in the Jewish quarter of Córdoba, Corto Maltese discovers that he has no fate line on his palm and therefore carves his own with his father’s razor, determining that his fate is his to choose. Corto spends his life travelling the world in search for adventure, ruled by nothing but his own freedom. He is a sailor, but above all, a restless traveller and a lover of adventure, often found helping the disadvantaged and the oppressed. The minute he sets out to sea, he never looks back, travelling across continents to Egypt, Singapore, Buenos Aires, Brazil, Chile, Argentina, China, the Caribbean Islands, the Pacific Islands, Mongolia and Italy, among many others. Parliamentary Secretary for Consumer Protection and Valletta 2018 Dr Deo Debattista said that like Corto, we are creating our own destiny, so that Valletta 2018 is remembered and is not considered as a one-time event. He wished the event organisers and performers a successful performance. 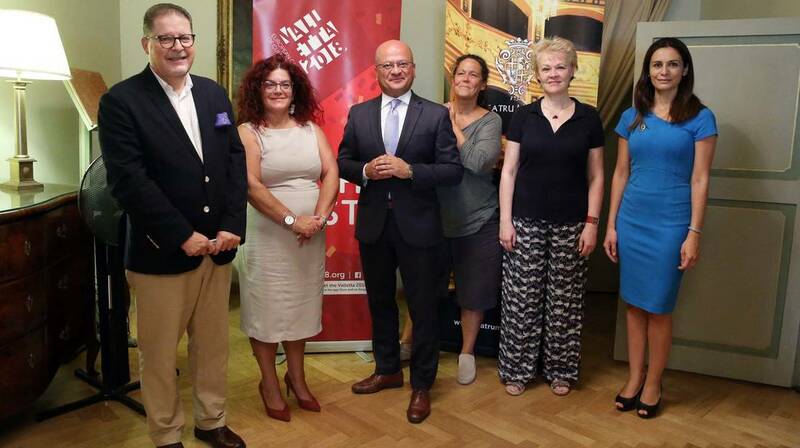 Teatru Manoel Artistic Director Kenneth Zammit Tabona said that “since the popular character of Corto Maltese is linked to Malta, being born in Valletta in 1887, this production happening at Teatru Manoel is a great opportunity to promote Maltese theatre across Europe”. Corto Maltese: The Ballad of the Salty Sea will be performed by the Teatru Manoel Youth Opera at Teatru Manoel on Thursday 20th September and Saturday 22nd September, 8.30pm. Tickets may be purchased from booking.teatrumanoel.com.mt. This is the fourth annual Teatru Manoel Youth Opera, produced through a match-funding initiative with the Valletta 2018 Foundation as part of the Cultural Programme for Valletta 2018 European Capital of Culture.